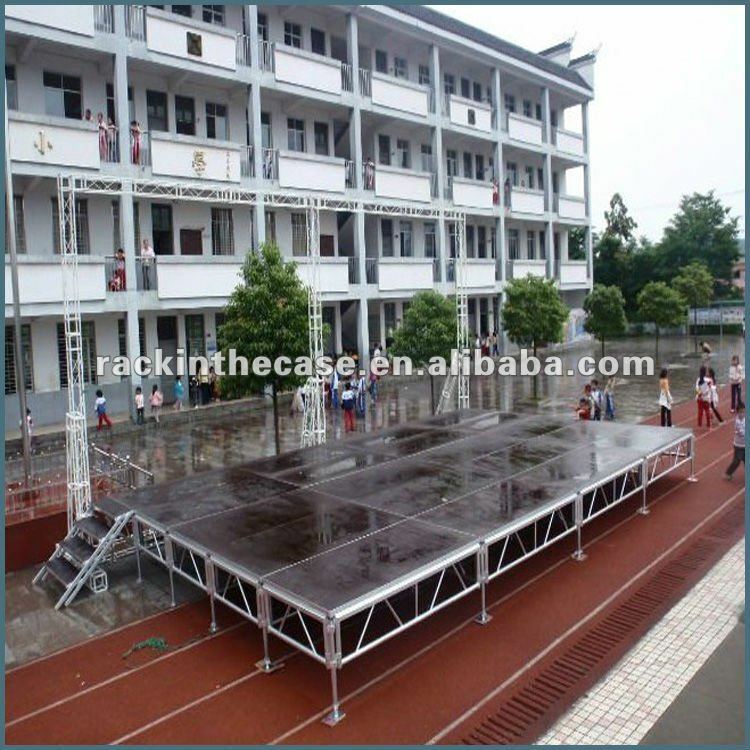 1,Our mobile stage is movable,portable,deluxe,folding but strong ,reusable and security. 2,Aluminum modular stage design allows you to use the same stage for all your needs and change the size,height and shape as you need. 3,It’s very easy to build a beautiful mobile stage by one single person. Black & gray &red etc.